Another Christmas has passed, but maybe you still have some belated gifts on your list. I thought this was a cute idea created by my daughter and wanted to share the love. 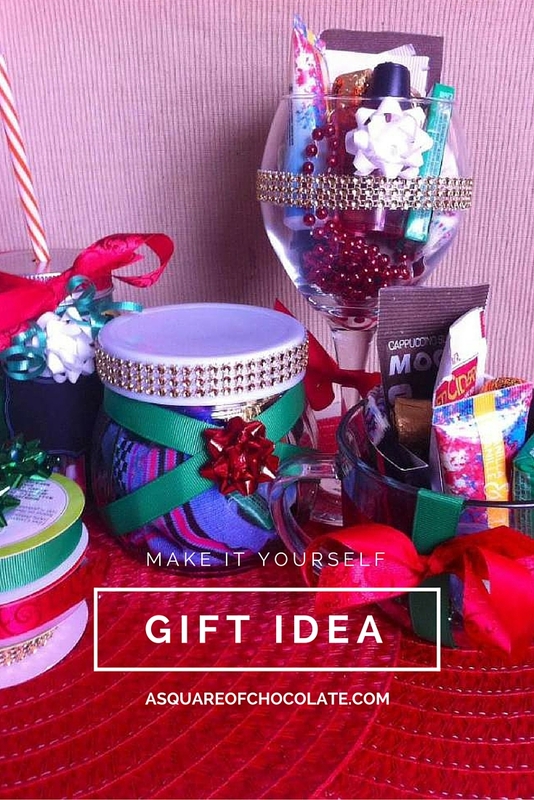 This idea is certainly not limited to just a Christmas gift idea. It can be created for birthday's, Valentine's Day, house warming or a simple gift for any occasion. 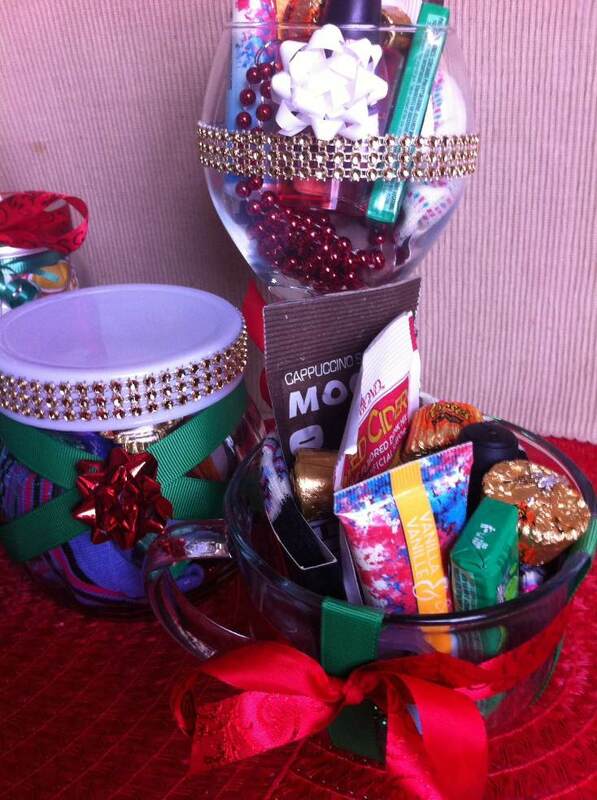 You can purchase from the Dollar Store a wine glass, pretty mug or mason jar and simply stuff it with goodies like lotion, candy, socks, cocoa packet, nail polish, jewelry etc. Then decorate with ribbon, bows and gems. I think anyone would be excited to get a thoughtful gift of goodies! Pin this idea for later, so you can reference it for those times when you just don't know what to get someone. I love inexpensive little gifts like this! Thanks for sharing them!